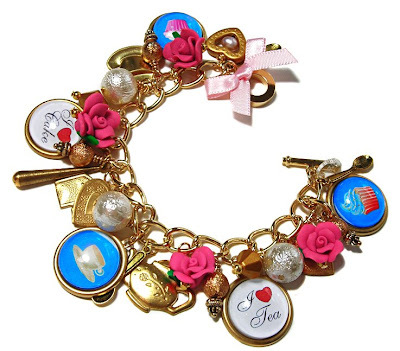 Cup Cake Crazy- Vintage Style jewellery featuring Cup cakes! 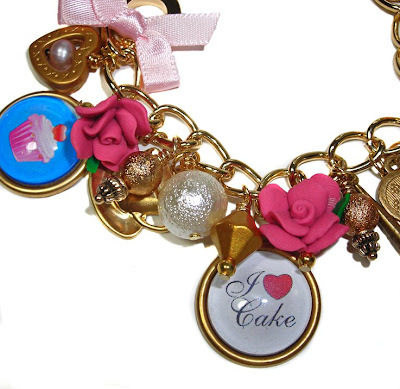 Yes, I'm so mad for cup cakes at the moment that I've taken to making some jewellery featuring them. 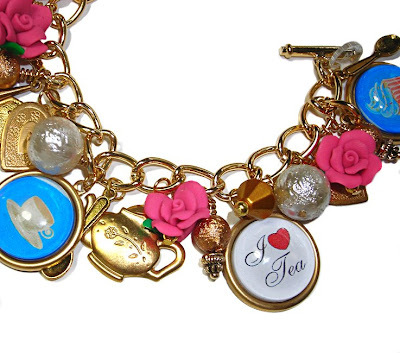 Featuring cup cake and tea cup charms, brass teapot, teabag, tea cup and cute little teaspoons- Delightful! 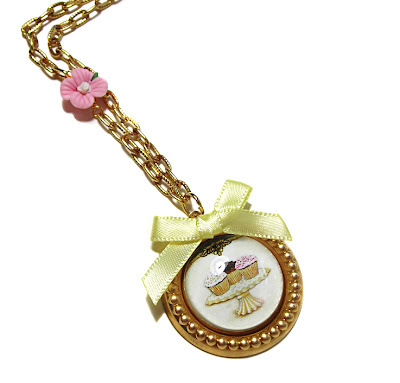 An adorable vintage Pendant featuring cup cakes, satin ribbon and a cute pink flower.